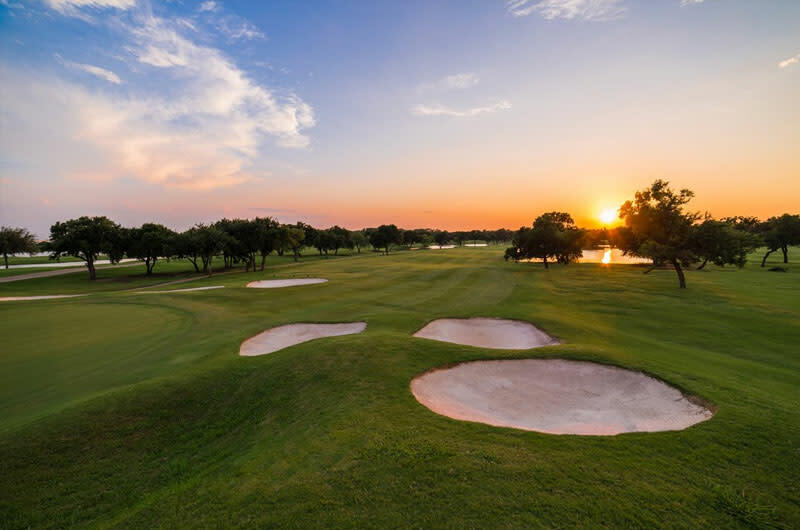 Indian Creek Golf Course offers 36 holes of championship golf and is which is rated among the public courses in the Dallas-Fort Worth area. Originally opened for play in 1984 and recently renovated by Jeff Brauer, the Creek Course takes full advantage of its lush surroundings and thousands of mature trees. Generous fairways, steep-faced bunkers and large, undulating greens are showcased on this 7,235 yard par 72 beauty. The Lakes Course, which opened for play two years later, is a true parkland style layout with a number of doglegs, ponds, and gently rolling greens which were converted to Champion Bermudagrass during a renovation in 2005. Considered more playable than its older sibling, the Lakes Course still measures up at 7,000 yards and at a par of 72, should not be taken lightly.